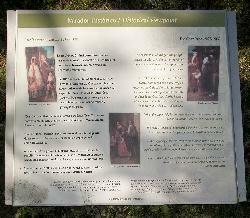 An information sign within the Tulum Ruins in the Mayan Riviera of Mexico. Describes the 1847 uprising by the indigenous people, it was called the Cate War. The Caste War was from 1847 to 1900. This photo taken in the Tulum Ruins of the Maya site. Mayan ruins. 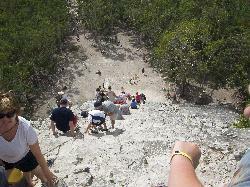 Steepness of the climb can be seen from this angle. Temple called the Crossroads Temples. Located at the Mayan Coba Ruins in Mexico. On list of mesoamerican pyramids. The large building called Xaibe was also used as a lookout tower. 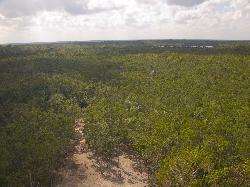 A view from the platform on the La Iglesia Temple at the Mayan Coba ruins in Mexico, in the Mayan Riviera. The pyramid known as Templo de la Iglesia, Temple of the Church, is second in height at Cobá and from its summit there is a spectacular view of lake Macanxoc. 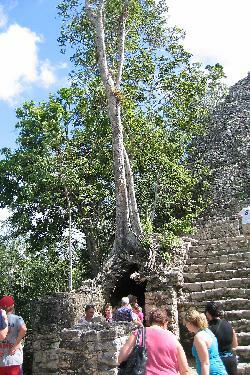 A tree growing out of the La Iglesia Temple at the Mayan Coba ruins in Mexico. 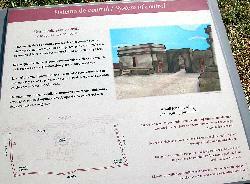 An information sign at the Tulum Ruins, describing the system of control and defense. The Tulum Ruins are located in the Mayan Riviera of Mexico. 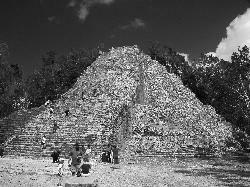 Black and white photo of the Nohoch Mul Pyramid located in the Mayan Ruins of Coba, Mexico. 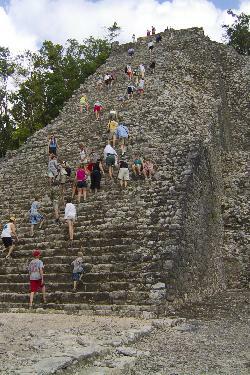 Climbers of the Nohoch Mul Pyramid Coba Mexico. Located in the Mayan Ruins of Coba, Mexico. Looking down from the top of the Nohoch Mul Pyramid in Coba Mexico. 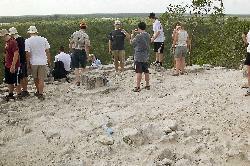 On the site of the Coba Ruins in the Mayan Riveria. 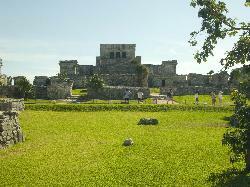 Photo of the Castle, the main building at the Mayan Ruins site in Tulum Mexico. The interior of the building is not accessible. 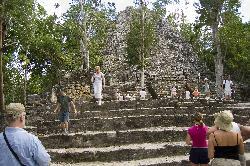 The top of the Nohoch Mul Pyramid in the Mayan Riviera in Mexico. Skyline view can be seen from the top. This is the picturesque sandy beach at the Tulum Ruins. 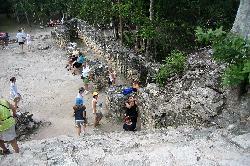 The ruins are located in the Mayan Riviera of Mexico. 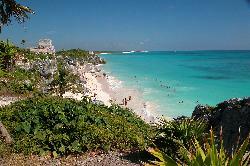 The Tulum Castle can be seen above the beach. View from the top of Nohoch Mul Pyramid Coba Mexico. 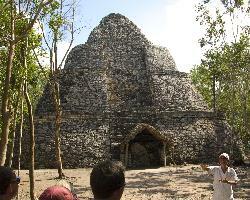 Pyramid located in the Mayan Ruins of Coba, Mexico. 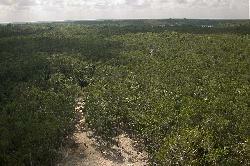 View from the Nohoch Mul Pyramid Coba Mexico. Located in the Mayan Ruins of Coba, Mexico.